In pioneer times especially, churches identified the origins of Manitoba’s various settlement groups. 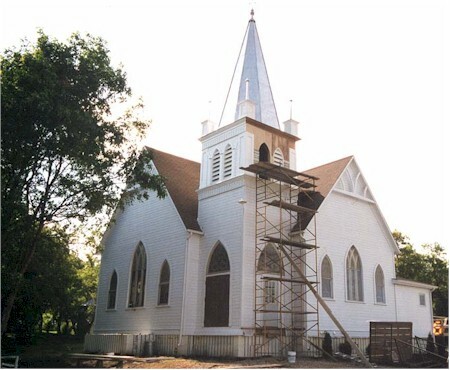 Icelanders who had moved into south-central Manitoba built their first church, Grund Lutheran, in 1889. A second church, at Bru, called Frikirkju Lutheran, was built in 1910. This church is a fine example of Lutheran architectural traditions, with its Gothic Revival details. The church, which was threatened by neglect, was moved in 1998 to its current site where it will find new life as a tea house and bed and breakfast operation.